The Dublin-based Nightlight was behind last week’s digital OOH campaign to promote Warner Brothers release of the movie The Meg. 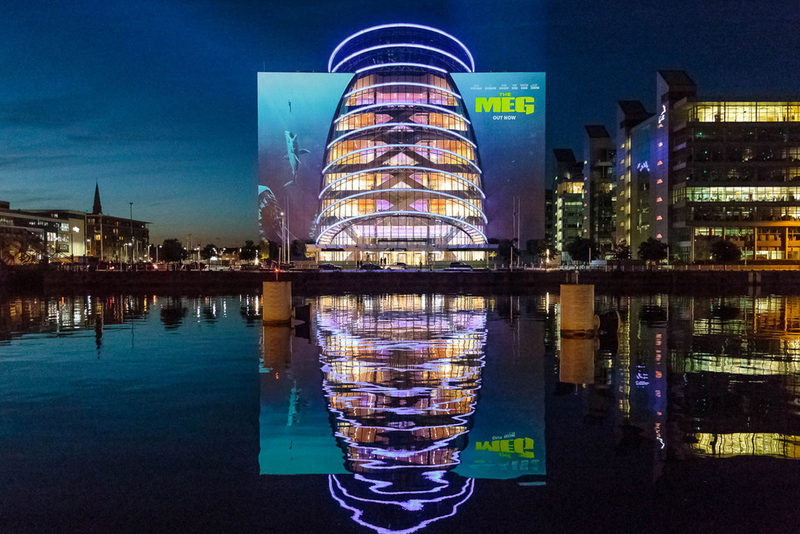 As part of the campaign, Nightlight facilitated the large-scale projection on Dublin’s Convention Centre last week-end. With OMD as the media agency, Kinetic as the media specialist and Nightlight Screens involved in the production, the sizeable projection lit up a huge swathe of the docklands area of Dublin during the Comic Con event in the Convention Centre. The installation coincided with Comic Con at the Convention Centre. An epic event which saw over 20,000 people pass through its doors over the weekend.